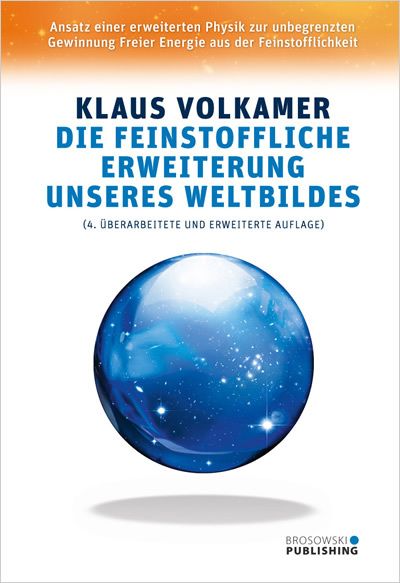 Jetzt wieder lieferbar als PDF-eBook: „Feinstoffliche Erweiterung der Naturwissenschaften“, Ausgabe 2007. This book describes a remarkable new discovery that arose from the use of highly sensitive weighing technology. 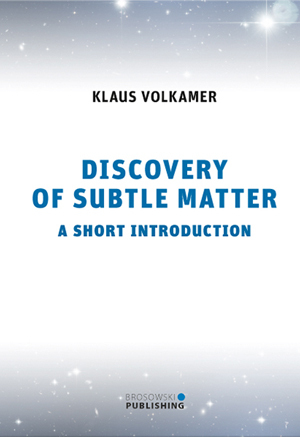 As a result of extensive studies of anomalous weight changes in certain systems, both living and non-living, Dr. Klaus Volkamer has arrived at a theoretical explanation involving two previously unknown forms of invisible matter. One form of matter exhibits a positive physical sign, and is an excellent candidate to explain dark matter. The other form is characterized by a negative sign, yielding an explanation of dark energy. One form of subtle matter appears to support life while the other has negative effects on living systems.